My title is needlessly provocative, and may ultimately disappoint, but bear with me a moment. I’ve recently been reading Andrew Keen’s book The Internet is not the Answer. It is an interesting, occasionally insightful, but all too often hyperbolic, personalised and repetitive critique of the internet age. I recommend it, albeit in small doses. But this is a digression. I do not wish to give a full review here. Instead, I wish to dwell on one idea that struck me while I read it. In the fourth chapter of the book, entitled “The Personal Revolution”, Keen launches into a scathing critique of the “Instagram”-generation. He excoriates them for being a selfie-obsessed, narcissistic and attention-seeking generation, increasingly parochial and disengaged from the world. But he reserves his major criticisms for the company itself, which is simply one of the many large-scale internet networks that provides a social space or platform in which we can upload, share and search one another’s content (Google, Facebook and Youtube being the other obvious examples - and yes I know Youtube is owned by Google). 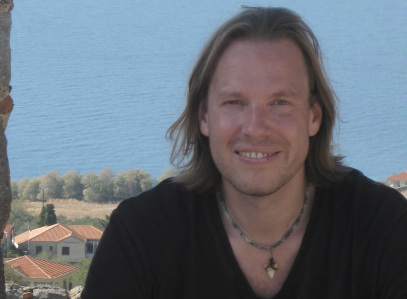 He argues that these networks are economically exploitative because they profit from our free labour. Now, there is nothing particularly new in this argument. It is something others have written about before and at greater length, perhaps most notably Jaron Lanier in his book Who Owns the Future? (which I must now confess to not having read, though I am familiar with the basic thesis from his various online talks). Nevertheless, as I read through Keen’s critique, it occurred to me that his argument could be re-fashioned into the language of analytic political philosophy, specifically into the language of libertarianism. Doing so may give libertarians a reason to “hate” the infrastructure being created by the modern internet (though I have my doubts). Why? Because that infrastructure may represent the most significant, and unjust, violation of property rights in recent human history. I think this is interesting because libertarians often love the internet and many of the leading tech evangelists espouse a libertarian view. I also think it is interesting because it is relatively easy to craft an egalitarian argument against the infrastructure of the internet, crafting a libertarian one seems like more of a challenge. In the remainder of this post, I outline the basic elements of that libertarian anti-internet argument. Just to be clear, this is very rushed and incomplete: I only provide the bones an argument that needs more flesh. In particular, I know that the understanding of libertarianism that I present is pretty naive, relying as it does on a simple Nozickian conception of property rights. I know this has been disputed, endlessly, in the philosophical literature. But I think there is some value to assuming that simple conception arguendo (i.e. for the sake of argument) and seeing if anything interesting follows. Also, as you will see, my conclusion is somewhat deflationary. I don’t think there really is a strong libertarian argument against the internet. But I think it is something worth pondering nonetheless. One other point before I begin: I don’t know if the argument I present has been put forward in these libertarian-esque terms before. It may well have been. My limited google-searching reveals no such presentation, but I haven’t researched the matter in depth. I don’t claim novelty for the insights (if any) contained in this post. 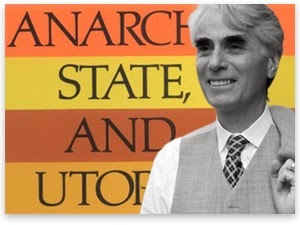 As mentioned, the libertarian view I am going to work with is a fairly unsophisticated version of that presented by Robert Nozick in his classic book Anarchy, State and Utopia. Consequently, I must start by outlining some of the core features of the political philosophy defended in that book. As many readers will know, Nozick’s book was written in response to Rawls’s classic A Theory of Justice. In the latter book, Rawls defended an egalitarian model of political justice that supported the redistribution of property (wealth) from rich to poor, provided certain fundamental principles of justice were complied with. This in turn provided support for a big government, collecting taxes and engaging in certain acts of social engineering. Nozick rejected this view in favour of the robust protection of individual property rights and a minimal state. Central to this view was his conception of individual rights, specifically individual property rights. He derived this account partly from work done by classical liberals like John Locke and partly from Kantian moral theory. The details are fascinating and could be picked apart and debated at much greater length. But I won’t go into too many of the intricacies right now. Instead, I focus on three main features of Nozick’s account. First, there is Nozick’s reliance on the concept of the separateness of persons. This is the Kantian element of his theory. It holds that human persons exemplify certain key moral properties: they are rational planners, they have free will, and inherent dignity. They cannot be treated as mere objects, instruments or resources (as in, for example, slavery). They must be treated as ends in themselves and their dignity must be respected. Second, there is Nozick’s conception of self-ownership and its attendant rights. Nozick argues that persons have rights to self-ownership. That is to say, they own themselves, their bodies, their skills and their talents, and the fruits of their labour. The latter being particularly important because it suggests a way in which individual agents can gain rightful ownership over elements of the natural world by mixing those elements with their own labour. Nozick argues that individual self-ownership implies a strong set of negative rights. It is wrong to interfere with someone’s ownership over their own property (which, remember, includes their bodies, skills, talents and the fruits of their labour). Third, and building from the foundation provided by the other two features, there is Nozick’s entitlement theory of justice. This has to do with just ownership of the various types of property. Nozick argues that there are three ways in which people can acquire rightful ownership over property. The first is via just acquisition, which is where one acquires the property in the first instance through mixing it with one’s labour. The second is via just transfer, which where the property is voluntarily transferred to one by its rightful owner. And the third is via just rectification, which is where property is transferred (forcibly) in order to correct for some historical injustice. This last method is Nozick’s major concession to some form of redistribution. Nozick’s Principle of Justice: A distribution of wealth/property in a given society is just if and only if everyone in that society is entitled to what he or she has, i.e. they have gotten what they have in accordance with the principles of just acquisition, transfer and rectification. This is all we need to build the argument against the internet. So what is the Nozickian argument against the internet? To answer that, I need to tone down the hyperbole somewhat. This is not really an argument against the internet as a whole. It is an argument against one portion of the internet, albeit a sizeable portion. This is the portion that provides social networking and content-sharing platforms and uses those networks primarily as vehicles for selling advertising and some other services to commercial enterprises. Such networks have become hugely influential, and have netted large fortunes for their creators. For example, the creators of Google and Facebook (Sergey Brin, Larry Page and Mark Zuckerberg) each have personal fortunes estimated at around $30 billion. Less impressive, but still astounding, would be the fortunes amassed by the likes of Kevin Systrom (Instagram - $400 million), and Brian Acton and Jan Koum (both of Whatsapp, worth $2.7 and $7.2 billion respectively). (1) A distribution of wealth/property in a given society is just if and only if everyone in that society is entitled to what he or she has, i.e. they have gotten what they have in accordance with the principles of just acquisition, transfer and rectification (Nozick's Principle). (2) The distribution of wealth that has resulted from the creation and success of companies like Google, Facebook, Instagram, Whatsapp, Youtube etc is the product of an unjust transfer (i.e. a transfer of wealth that was not undertaken in accordance with the three principles of just acquisition, transfer and rectification). (3) Therefore, the distribution of wealth resulting from the creation and success of such companies is unjust (in Nozickian terms). All the action lies with premise (2) of this argument. The premise would probably be a pretty easy sell if the argument rested on a more egalitarian principle of just distribution. The fact that it relies on the Nozickian principle makes it a tougher sell. The obvious riposte from any sensible defender of the free market will be that the fortunes amassed by these companies and their creators results from good, clean free market operations. Mark Zuckerberg (to take an example) used his personal talents and ingenuity to create a social networking platform, which he provided for free to users (the “free” point is one I shall return to), and then sold or rented out to investors and advertisers. These latter individuals voluntarily transferred their wealth to Facebook. Where is the injustice in any of this? The answer lies in the precise details of the business model that makes the likes of Facebook so valuable. Facebook is not a traditional tech business like Apple or Microsoft. It did not create a product that it then sold to customers. It created a platform that it provided for free to end users, and then sold this to investors and commercial enterprises. The question is why are these people willing to pay so much for the access to and control over the platform? The answer, according to the likes of Keen, lies in the fact that the Facebooks, Instagrams and Youtubes of this world profit from the unrewarded labour of its users. In other words, it is we — the end users and content providers — that make the companies so valuable. It is our labour and talents that provide the valuable commodity, that can be manipulated, packaged and sold to the investors and advertisers. This seems to be literally true. On Instagram, Facebook, Youtube and Google, it is our data (search terms, photos, instant messages) that is collected, mined, and sold. Indeed, these companies openly admit that they take ownership over all this data (read the terms of services for Instagram, for example). In short, they are little more than thieves (robber barons). Instagram really did have just thirteen full-time employees when Facebook paid a billion dollars for the startup. Meanwhile, in Rochester, Kodak was closing 13 factories and 130 photo labs and laying off 47,000 workers…So who, exactly, is doing the work, providing all the labor, in a billion dollar startup that employed only thirteen people? We are. All 150 million of us are members of the Snap Nation…When Facebook and Twitter fought a bidding war to acquire Instagram, they weren’t competing for Kevin Systrom’s cheap, off-the-shelf photography or the code he and Mike Krieger slapped together in a few months. What they were paying for was you and me. They wanted us—our labor, our productivity, our network, our supposed creativity. Data factories [like Google, Facebook, Instagram, Snapchat etc.] are eating the world. But while this has created a coterie of boy plutocrats like Evan Spiegel, Kevin Systrom, and Tumblr’s twenty-seven-year-old CEO, David Karp, it certainly isn’t making the rest of us rich. You see, for the labor we invest in adding intelligence to Google, or content to Facebook, or photos to Snapchat, we are paid zero. There is clearly a strong egalitarian bent to Keen’s criticisms in these passages, but there is also — to my ears — a strong Nozickian bent. The complaint that there is an unjust transfer of wealth taking place seems clear. But is this complaint any good? Now, as I said previously, I think this argument would be more persuasive if it were made from an egalitarian standpoint. But I like pursuing the libertarian angle both because it seems to better capture the injustice highlighted by Keen (i.e. the exploitation of our talents and skills that seems to be taking place) and because it runs contrary to some of the dominant streams of thought in the tech world. Nevertheless, I think it remains a pretty tough sell. There are some fairly general concerns and then two obvious major objections to it. In terms of the general concerns, there is the fact that Keen dwells heavily on one or two examples (particularly Instagram) without fully explaining or exploring the ownership rights that arise on other networks. I don’t currently know what the situation is. I’m sure I could find out, but I haven’t done so yet (the fact that I haven’t may be part of the problem Keen is alluding to though). Also, I think Keen is overly dismissive of the labour and hard work done by some of the “boy plutocrats” (as he describes). I don’t know that Kevin Systrom is justifiably worth $400 million (who is?) but I don’t think it is fair for Keen to describe it as being “slapped together”. But there are more serious criticisms to contend with. The first is that there is nothing unjust about the transfer taking place here because, even if it is uncompensated, it is wholly voluntary. Nobody is forcing us to use these services. We are free to disengage from Facebook, Instagram, Google and so forth, at any time we like. If we continue to use them, we must accept their terms and conditions (which we usually do by ticking a box). Perhaps you could respond here by saying that the transfer of ownership rights over photographs on the likes of Instagram is not truly voluntary. Maybe this is because there is some subtle form of social coercion taking place, or because the companies deliberately exploit the known fact that most people don’t read the terms of service. But if you go down that road it will impugn many other, seemingly legit, businesses. The second objection is that, in any event, these transfers may not be uncompensated at all. We receive one major benefit-in-kind, namely free use of the platform. And, on at least some platforms, users can leverage their content provision into a form of income. Thus, for instance, popular Youtube uploaders can take a cut of the money Google earns from advertising. This looks like a win-win. Now, you could complain here that free usage isn’t adequate recompense for the content provided, or that even amongst Youtube uploaders the bulk of the wealth goes to relatively few “big name” content providers, but arguing over the adequacy of the compensation received doesn’t seem like a very libertarian thing to do. This is much more at home in the egalitarian worldview (and in that case I have a lot of sympathy for it). Thus, to sum up, I think it is intriguing to explore the libertarian (Nozickian) argument against the internet. I’m just not sure that I am able to come up with a persuasive version of it. Maybe someone else can do a better job.